For complete plumbing services, including general repairs, new construction projects, and sewer and drain cleaning, contact Coastal Plumbing Company. We’ve worked with both residential and commercial customers in the Mississippi Gulf Coast region since 1975—no job is too small! Any time you need plumbing service in Biloxi, MS, you can count on Coastal Plumbing Company to do the job. As nearly 40-year plumbing industry veterans, we have the years of experience necessary to diagnose and repair any plumbing issue you might have on your hands. Our goal is to be your go-to plumber in Biloxi, MS, whether you need the most basic repairs or you have an unexpected flood in your basement. We know there are other plumbers in town, but we feel confident that our level of professionalism and high-quality service will make us your first call when you need plumbing assistance in your home or business. Our plumbing work is of the highest quality. We are committed to using only top-of-the-line equipment and products in our work. 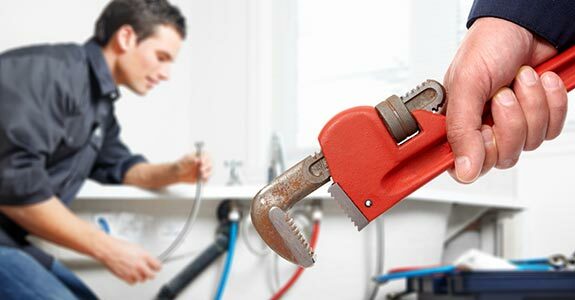 We can install and repair toilets, faucets, garbage disposals and even gas lines. Our associates have nearly four decades of plumbing experience under their belts. We offer competitive pricing to Mississippians throughout the Gulf Coast.